Although the Web has made some State House information and online videos of hearings a click away for interested citizens, the use of the Internet has become a double-edged sword, limiting other aspects of transparency. Staff members on 15 of 22 major committees surveyed by the Boston University State House program said members sometimes vote via email. Rules about public access to these emails are vague. Ten of the committee staff polled said the votes were not available to the public. Lawmakers are increasingly absent from their committee’s public hearings. Many sessions are conducted with a fraction of the committee members present. Even sponsors of legislation are often no-shows. The extent of the problem is hard to measure. Only six of 22 committees surveyed said they took attendance. Few make available the minutes of their sessions. Some legislators and observers say shrinking attendance and roll call voting are symptoms of a trend that concentrates the decision making to the legislative leadership. “It’s probably par for the course,” he said. Ubertaccio said committee chairmen use their power to set schedules that decide the fate of a bill in conjunction with party leaders; the chairmen can sit on bills that are controversial or don’t fit into the leadership’s agenda. There was an attempt, led by Republicans at the beginning of the session, to require all committee votes to be posted on the Legislature’s website. It was defeated. Rep. Dan Winslow, R-Norfolk, plans to propose new rules that would require committees to meet in person and produce records that would illuminate the process of lawmaking for Massachusetts residents. But it’s not just a partisan issue. Sen. Jamie Eldridge, D-Acton, is sponsoring a bill that would make more public records available online. Eldridge said government transparency is important at all levels. Massachusetts residents can find the full text of a bill on the Legislature’s website and follow its status. Viewers can watch live and archived webcasts of floor proceedings and selected committee hearings. 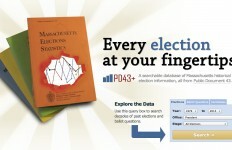 But Massachusetts remains behind the times when compared to other states, data from the National Conference of State Legislatures shows that all states except for Rhode Island offer live webcasts of legislative sessions, with 33 states archiving them and 35 posting live webcasts of committee hearings. 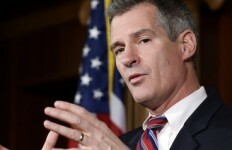 Twenty-one other states, including Connecticut and New Jersey, make it easier for interested residents to follow the process through bill tracking email subscriptions, which send out updates when a legislature acts on a particular piece of legislation. The National Conference of State Legislatures also says 14 states offer other email subscription services, such as Maine’s list for notification of public hearings. Twelve states allow people to create personalized lists of bills they want to follow, free of charge, with another five states offering the same service for a fee. Massachusetts does not provide this service. Eldridge said inaccessibility of information is often an unintended consequence of cutbacks. Many of the legislative aides surveyed said they don’t have the staff to keep formal minutes. Whatever the reasons, Eldridge said a lack of openness can foster cynicism. 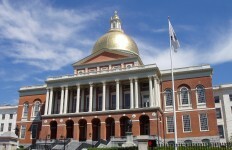 The writers are part of the Boston University State House reporting program.